In the past few weeks, I have visited with many of you across the Second Congressional District, and aside from the weak economy, there were two issues that you wanted to discuss: military voting and the terrorist attack in Libya. Today, I’m writing to give you an update on both of these issues. My office has received several complaints from members of the Armed Services that are having trouble accessing the required materials to vote in their home state elections. Members of the Armed Services fight daily in order to protect our liberty; we must protect theirs. I traveled to Austin last Monday to meet with our Texas Attorney General Greg Abbott, who was very aware of this issue. 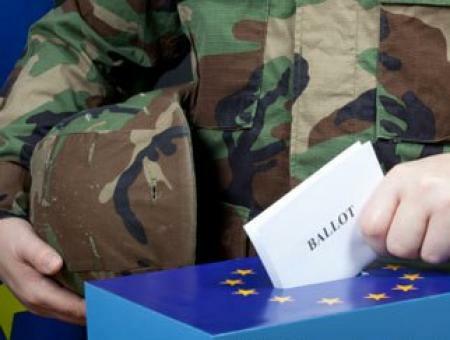 We discussed the issues surrounding military voting and what options are available. I also contacted the Texas Secretary of State’s Office, which is working case-by-case to make sure that our Texas Service Members can vote in this Election. In August, I sent letters to Attorney General Eric Holder and Defense Secretary Leon Panetta, asking for how their departments were implementing a 2010 federal law that was supposed to resolve issues with military voting procedures. As of today, I have only received a response from Secretary Panetta, who indicated that DOD has made progress in implementing the law through its Federal Voting Assistance Program. However, it’s clear that issues remain and we need a permanent fix. If you or someone you know is serving in the military and is having problems with voting, please contact the Texas Secretary of State directly at 512.463.5650. Please note that all military ballots must be received by November 13. In the weeks since the September 12 terrorist attack in Benghazi, there have been a lot of questions and few answers. This week, I sent a letter to Defense Secretary Panetta, asking if the U.S. had furnished any guns and weapons to rebel groups in last year’s Arab Spring and if so, how are we keeping track of those guns and weapons. In addition, I requested an immediate hearing in the House Foreign Affairs Committee to press Administration officials on what really happened leading up to and immediately after the terrorist attack in Benghazi. Americans want answers, and they deserve them.